Volkswagen has already started testing the next gen Vento sedan which is likely to be launched by the end of this year. Some sources have reported that the manufacturer is going to introduce a wide number of technical upgrades in the next gen edition which are not found in the outgoing edition. We can expect the official debut of the new Vento by this Diwali festive season most probably. As per the information, the next gen Vento is likely to feature a lot of cosmetic upgrades and we may not expect any other major changes to the engine and other aspects of the sedan. As we could observe from a set of spy images of the respective test mule that were revealed over web, most of the vehicle was covered with heavy camouflage. The base structure of the sedan seems untouched and it is as same as that of the previous edition. The front fascia is expected to get a new set of bumper and grille along with a set of LED headlights that were never offered before. The rear end is likely to get a new rear bumper and exhaust pipe along with a set of LED tail lights. 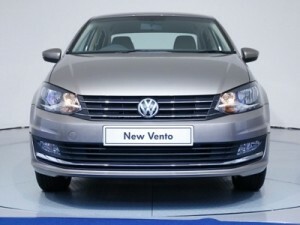 Volkswagen will continue to offer the new Vento in Petrol and diesel trims in the domestic market. Petrol version of the model is likely to get powered with the same 1.6 litre petrol engine which comes mated to a five speed manual transmission gear box. Another petrol trim can also be expected that will get powered with a 1.2 litre turbo charged petrol engine mated with a 7 speed DSG gear box. Diesel variants will get powered with a 1.5 litre diesel engine paired with a 7 speed DSG gearbox. Official debut is expected in the month of this October. This entry was posted in Autos, News on May 3, 2015 by UdutaHK.